Alina Žugelj Pikalo is Media Manager of Pristop Media, one of the leading media agencies in Slovenia and a Managing Director of newly founded media agency Mediaplus Adria. After graduating with honours in Marketing Communications from University of Ljubljana, she joined Sales Department at RTV Slovenia, Slovenian public broadcaster. Initially she was responsible for marketing of its programme and then promoted to a sales department management team. 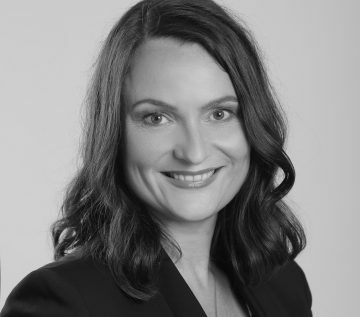 She joined Grey Ljubljana in 2003 as a strategic media planner and was later promoted to head of Media Department, representing Mediacom operation in Slovenia. In 2009 she joined Pristop Media, local independent media planning agency, respected for its professional attitude by clients and media alike. Excellent relations with clients, media and creative teams have led to numerous successful campaigns, among those awarded with 2013 Grand Sempler and 2014 Golden Sampler in the category Innovative Use of Media. In 2017 she took a role in a joint company of Pristop and Serviceplan Mediaplus Adria whose mission is to spread knowledge and good practices in SEE region. Fiercely independent and feisty negotiator, she lives with her husband and two children in Ljubljana.